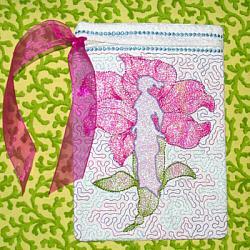 Add that finishing touch to all your quilts and pieced work projects. 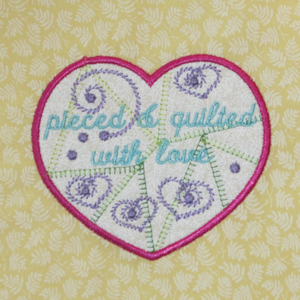 Lovely applique' label with pieced look (shown above stitched with variegated thread) and heart accents , a beautiful reminder of every loving stitch! 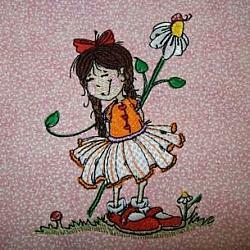 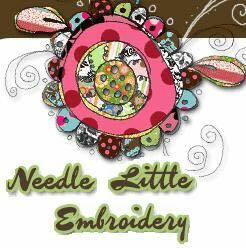 Add your signature with pemanent fabric pens or your own hand or machine embroidery. 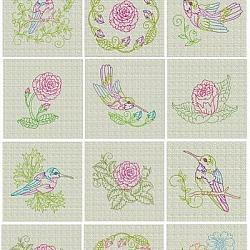 Stitch in colors to compliment or contrast the fabrics in your project.